(B311), coming from Zell am See over the B168, B165 and the B169 to Mayrhofen and onwards to Ginzling. at around 1.800 m above sealevel. Along the street you will see some marked points of interest, e.g the fotospot Schlegeis dam. The single lane part of the road between the tollbooth "Breitlahner" and the Spiegelschlagtunnel II is regeulated by traffic lights, the waiting period however is 15 minutes at the maximum. 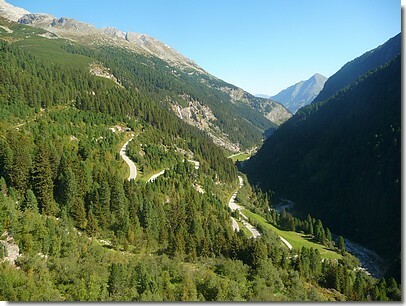 From Jenbach station, with the Zillertalbahn to Mayrhofen. From Mayrhofen station by bus to Schlegeis.